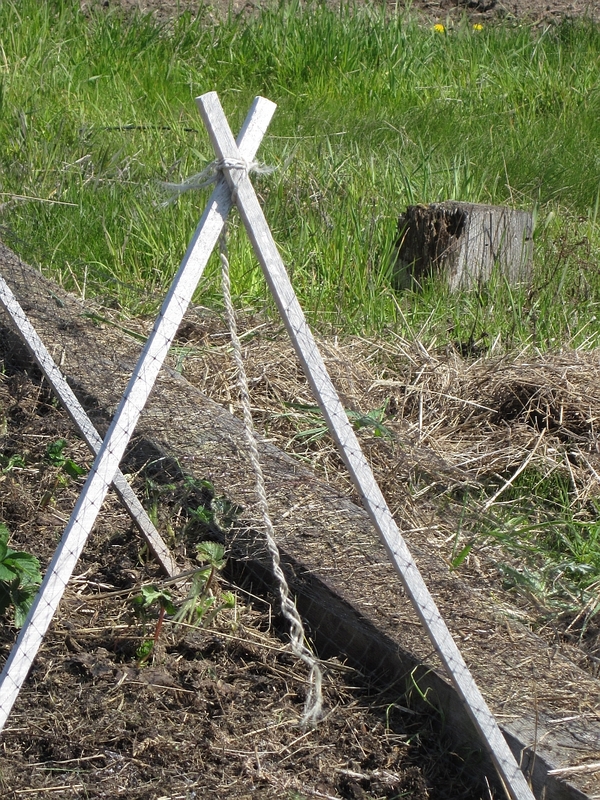 A couple days ago, I weeded and mulched the raspberry and blueberry beds. Now it was time to clean up the strawberry beds for spring. Last fall, I banked the strawberry beds with straw for the winter. 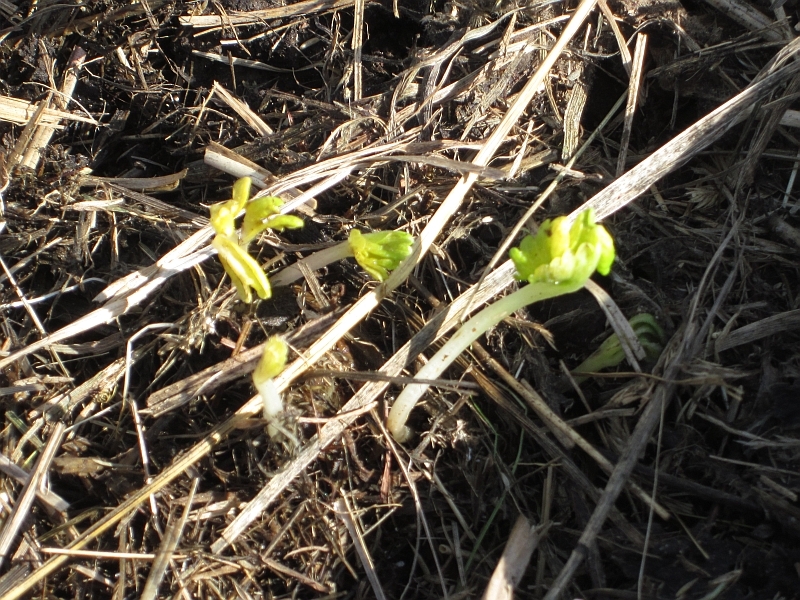 ...but most were compressed and yellowish from their winter dormancy. 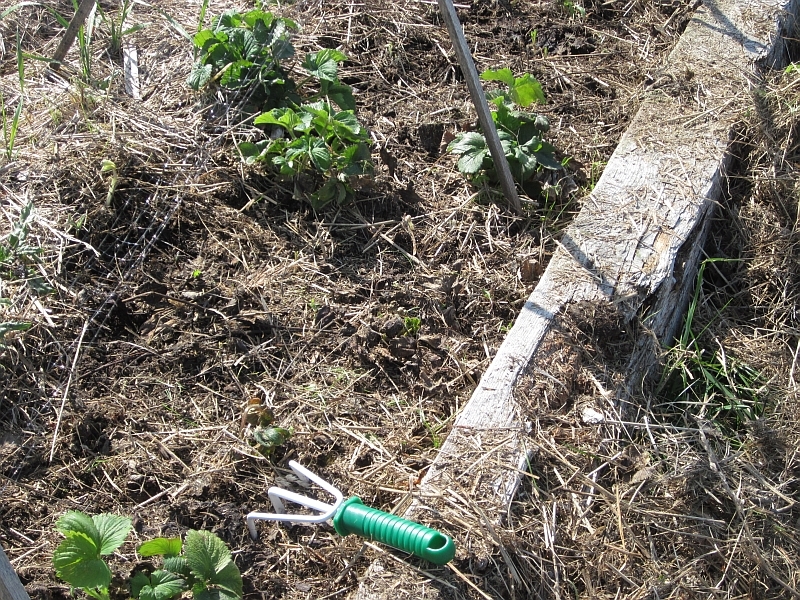 So I carefully pulled off the straw to give the plants some much-needed sunshine. 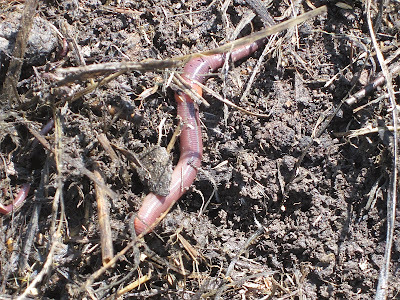 I saw lots of earthworms, always a good sign. I will mulch them with composted manure in a couple of weeks, after the plants have had a chance to straighten up and gain some strength. Meanwhile the poles holding up the bird netting needed attention. The sticks were fine, but the string holding them together had rotted. This structure was meant to be a temporary measure against marauding deer, but it's worked so well we'll keep it permanent. 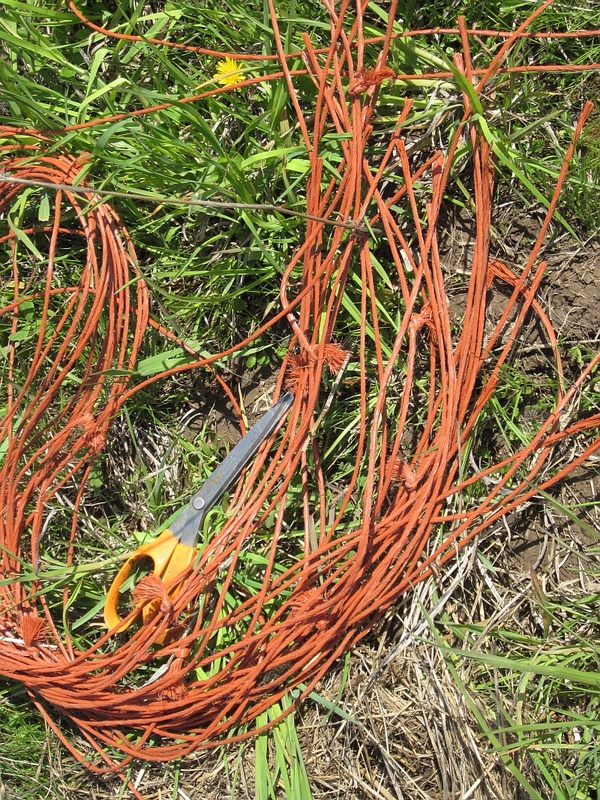 So I used baling twine, of which we have plentiful supply. 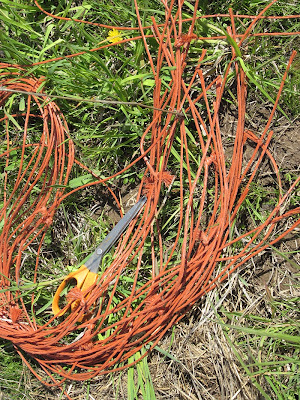 Besides, this string will last in outdoor conditions for several years -- wonderful stuff. Okay, strawberries, do your thing! Love the idea for holding the bird netting. Do you fasten it on the sides or does it stay in place? And Happy Mother's Day! We have a nail at each corner to hook the netting at those points, and along the lengthy sides we slipped a thin PCV pipe through the netting just to give it some weight. Nails at intervals along the sides would have worked well too. 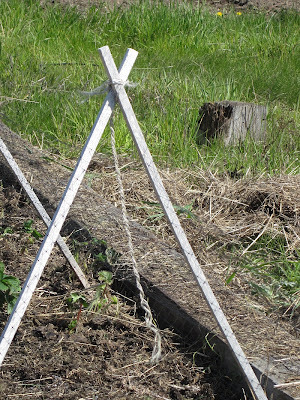 I think I will try strawberries this year using your great netting idea - we too, have so many deer. We have sto use netting to protect our tomatoes from the birds. They like to peck once in each ripening tomato. 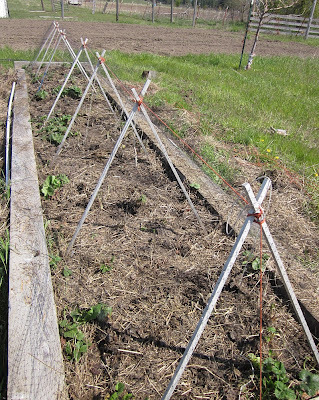 We have the tomatoes in the heavy cages made from concrete reinforcing wire and drape the netting over them and use bamboo sticks worked along the net to hold them in place. We have never been able to see how, but occasionally a bird will manage to get in. Then we have the problem of getting a frightened bird out. However, it does give us a chance of having vine-ripened tomatoes to eat. We plant two or three kinds of tomatoes--one or two big slicing varieties and a cherry tomato. The cherry tomato is a variety popular in our hot, dry area of Texas called Porter Pride. It was developed in a nursery in Stephenville TX and breeds true. We will buy plants once in a while but usually depend on the seed we save from the last year's crop. 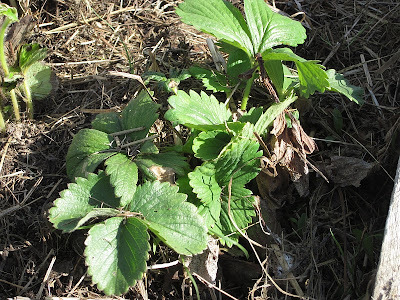 We have tried different kinds of berries but have little luck. Blackberries literally dried on the vine in the hot wind before they could be picked. Strawberries never produced more than one berry per plant. 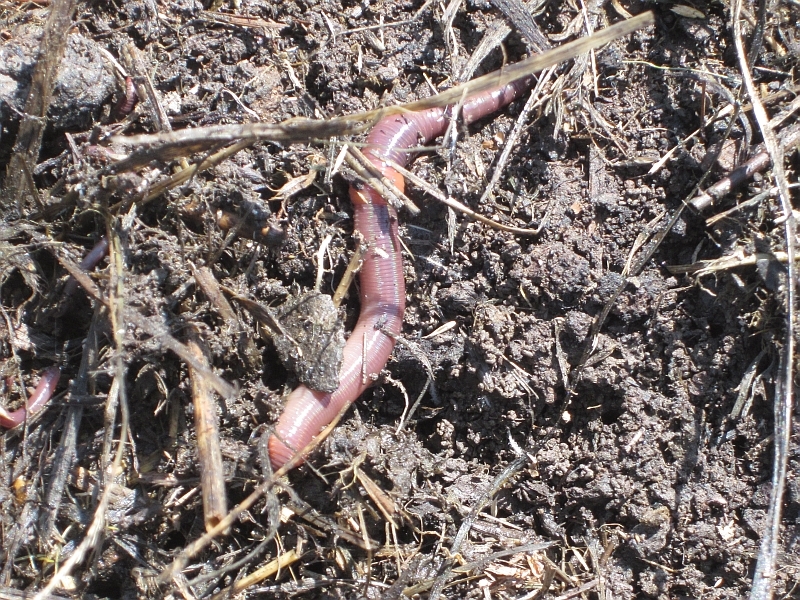 Suspect our dry soil doesn't like them or vice versa. 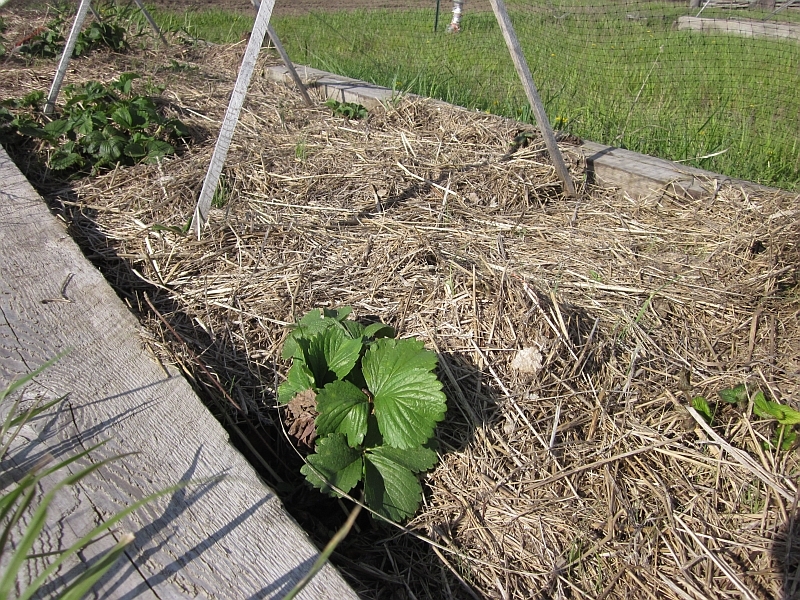 What to do with straw after removing from strawberrie beds? 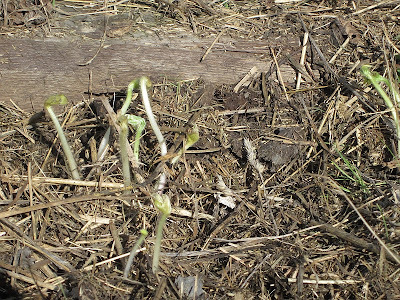 We just throw it in the huge compost pile we have for barn waste. Turns into beautiful compost after a year or two.